We’re halfway through Canada’s first national Farm to School Month! We’re eager to share 10 resources to get you inspired, informed, and motivated to bring Farm to School initiatives to your community. 1. Get Inspired – What’s Wrong with School Lunches? An inspiring TED Talk by “renegade lunch-lady” Ann Cooper to get you fired up about changing the way kids eat at school. An outspoken activist for serving more fresh, sustainable food to kids, Ann has made a big impact as the director of nutrition services for the Berkeley (California) Unified School District. What does “Farm to School” really mean? Check out Farm to Cafeteria Canada’s Fact Sheet on “What is Farm to School” to get the lowdown. Remember to register your program for Farm to School Month by October 31st to put your school on the map and have a chance to win $1000. His 2010 prize winning TED talk certainly grabbed our attention. 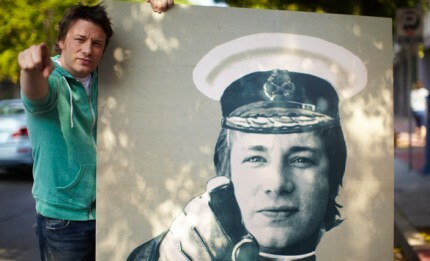 Now, Jamie Oliver is on a mission to spread his Food Revolution and bring healthy nutritious food to every child. His work in the UK has pushed the Government to implement the universal infant free school meals policy (September 2014), as part of the School Food Plan, ensuring all infant pupils receive a tasty nutritious lunch. Be sure to check out this report (published by the Jamie Oliver Food Foundation), chock full of statistics illustrating the need for change. Anyone can get involved with Farm to School. Whether you are an educator, farmer, student, parent or community organization, take a look at this quick guide developed by the National Farm to School Network in the United States for some first steps to developing a lasting farm to school movement in your community. How can we encourage kids to make healthier food choices? 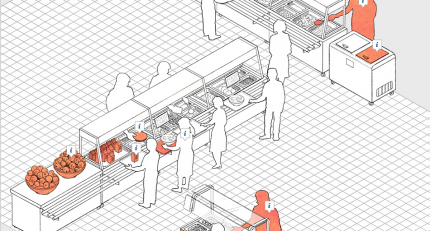 This Op-Ed piece from the New York Times is a short but powerful infographic that details how reconfiguring school lunch lines can get kids to eat better food. Curious as to how other countries feed their kids? 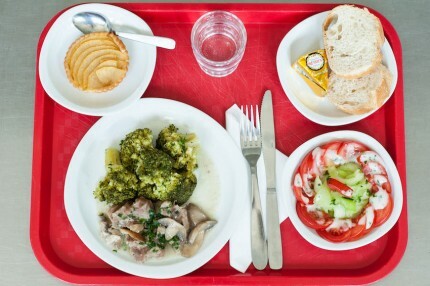 With menu planning done two-months in advance, an absence of frozen foods and only water available to drink, it is a thought-provoking exploration into a week’s worth of school lunches in France. 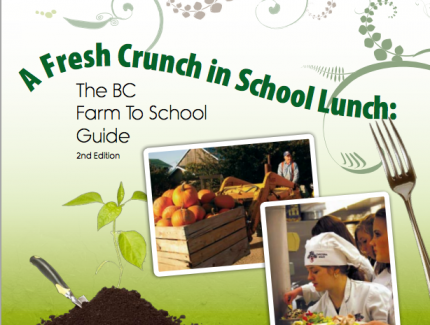 The BC Farm to School Toolkit, developed by the Public Health Association of BC, is a step-by-step guide to support communities as they implement Farm to School Activities. A useful resource for all stakeholders, this guide provides information on topics such as developing a local program, finding volunteers and talking to farmers. For all of the teachers looking to incorporate Farm to School into their curriculum, take a look at the lesson plans developed by Growing Minds. 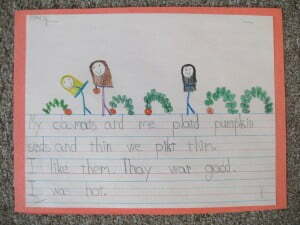 Broken down by grade level (preschool through high school) with suggested timelines for implementation by season, it is an easy to use resource sure to inspire your lesson planning. 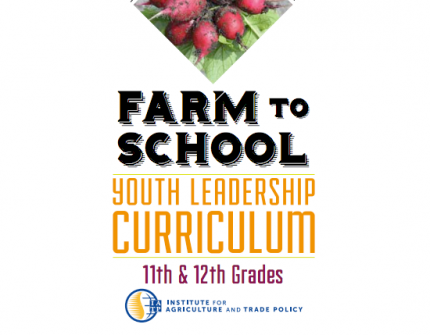 With so many resources aimed at young children, this toolkit is a high school level Farm to School Youth Leadership Curriculum designed to empower youth through engaging hands-on activities that teach them about their local food system. The first of its kind, the Evaluation for Transformation piece is a comprehensive framework intended to help define achievable outcomes for Farm to School activities by offering guidelines and metrics. Over 300 practitioners provided input to ensure that it was relevant across various sectors. Learn more about this resource on the National Farm to School Network’s blog.